House of Bols Cocktail & Genever Experience has grown into the tourist attraction of Amsterdam in less than a year. 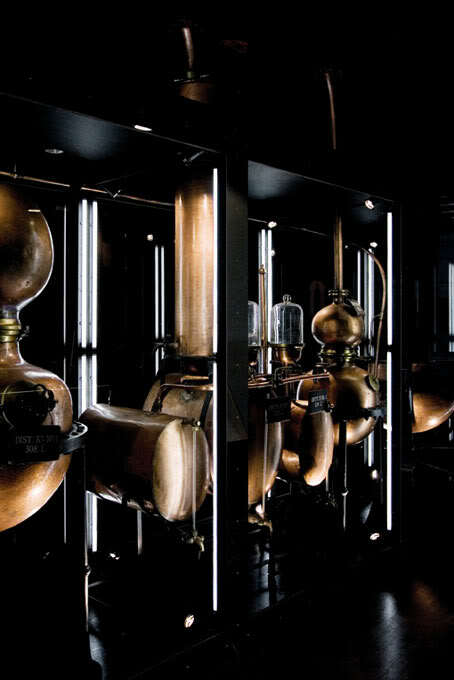 A place where visitors can discover everything about the world’s oldest distilled spirits brand Lucas Bols, in Amsterdam since 1575. House of Bols is an interactive experience into the dazzling world of cocktails and bartending, as well as a discovery of the traditional Dutch genever as a cocktail mixer. 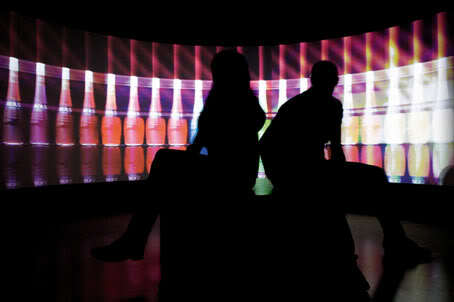 The multisensory experience takes visitors on a spectacular adventure of taste, smell, images and sound. 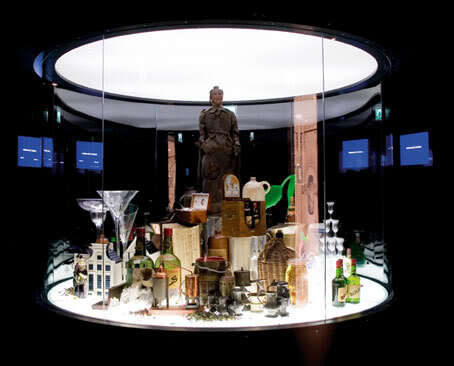 As winner of the prestigious Dutch Design Award for Best Exhibition & Experience 2007, House of Bols proves that heritage and history mix perfectly with innovation and contemporary design. 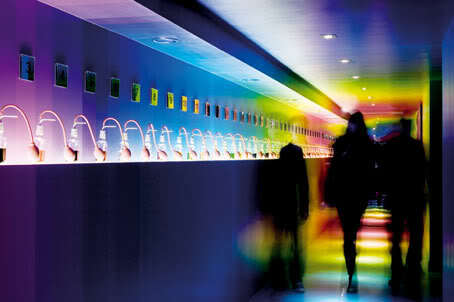 House of Bols is situated at Amsterdam’s Museumplein, across from the Van Gogh museum. 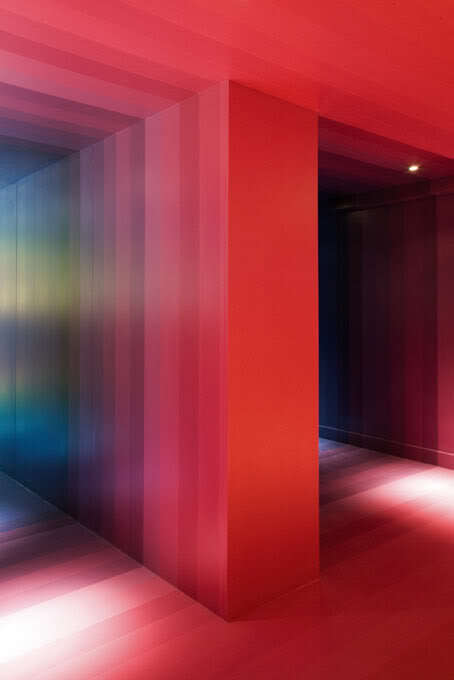 The self-guided tour through House of Bols is a discovery of the senses. 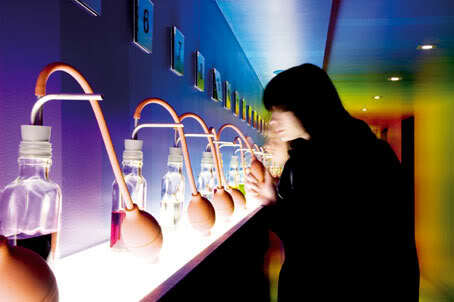 The Hall of Taste, for example, is a unique experience of taste and scent experiments with 36 aroma sprayers and a display of spices and herbs, decorated in an explosion of colours. 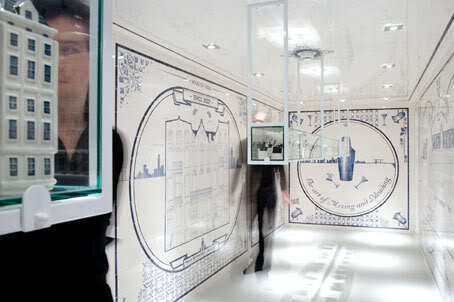 The Delft blue room with its hand painted tiles is a unique visual experience. It’s the only place in the world where the complete range of the popular 88 Delft blue KLM houses filled with Bols young genever can be admired for real. The tour ends in the revolutionary Mirror Bar, where bartenders mix up delicious genever cocktails in a flavour of your choice. Those who wish to learn the art of flair bartending themselves can make their way to the magical Flair Booth. For true Cocktail adepts there is the Bols Shop, where they will find a complete bartender toolkit, as well as other unique cocktail and bartending products and old Bols prints. The biggest eye catcher here is the Diamond Cocktail Shaker. This unique Boston Shaker is made up of silver and 18 carat gold, inlaid with no less than 480 brilliant-cut diamonds, with a total weight of 19.05 carats. The Delfts Blue collection of Lucas Bols. 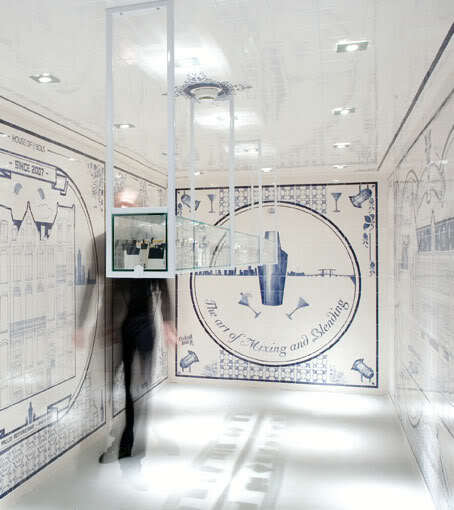 Since the fifties, KLM Business Class passengers receive a little Delft Blue house as a gift. These designs of old Dutch houses are based on famous buildings and monuments in the Netherlands. Each year Bols and KLM bring out at least 1 new house. There are now 88. First they were filled with Bols liqueur, since 1986 with Bols young genever. There are keen collectors of these houses all over the world. In the World of Cocktails the Bols liqueur range occupy the place where they belong: the night life. A 280° projection makes it possible for the visitor to step literally into the world of night life. A tailor made video clip in which various facets of night life will be presented in a visually inspiring way. The clip is supported by an electro-house track, specially produced for House of Bols, the musical style that has been taking over the dance floors worldwide and allows one to experience the feeling of enjoying cocktails. In the Hall of Taste of House of Bols you can touch the ingredients of genever and liqueurs, such as lemon peel and juniper berries. Also various touch screens make the whole journey of exploration and discovery even more interactive. In House of Bols 36 ‘puffers’ have been set up to allow visitors intensive, delightful aromatic experiences by means of smell. From strawberry to white mint, from coffee to peach. Smell and guess the aroma! Taste is sum total of your eyes, your nose, your mouth and hands. Do you know that around 95% of your taste is determined by smell? 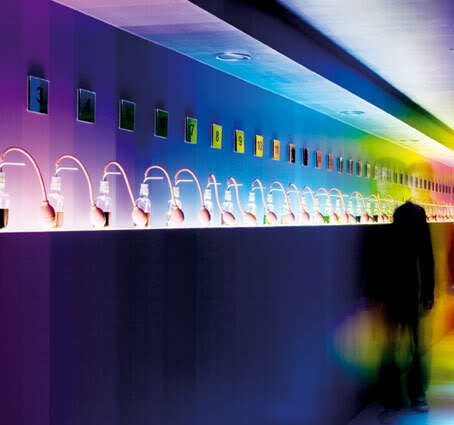 In House of Bols you can undergo two exciting taste-tests and experience how your brain reacts to aromas, colors and pictures. Towards the end of the tour you can select your own genever cocktail and enjoy it in the spectacular Mirror Bar. Curious, and want to see more? Click here for a virtual tour. As a culinary and business inheritance, in the year 2008 Lucas Bols B.V. is back in the city again where it all began in 1575: Amsterdam. One of the oldest Dutch companies still active and the oldest distilled spirit brand in the world. Bols understands the art of mixing and blending like no other, using old recipes and new flavours. 36 Liqueurs, many types of genever and Bols Corenwyn (a blend of vat-ripened distillates), to be enjoyed pure or in exciting cocktails. In 1575 the Bols family started distilling liqueurs on the Amsterdam Rozengracht (Canal of the Roses). Lucas Bols was able to further develop the family company during the Golden Age. The last of the Bols’ heirs died in 1816, but the company continued to develop and in 1954 it was quoted on the Amsterdam Stock Exchange. In 2000 the company was taken over by a foreign company with Rémy Cointreau becoming the new owner. Huub van Doorne, a former member of the Board of Directors of Rémy Cointreau, brought Lucas Bols back to the Netherlands in 2006 with a buy-out. Since April 2006 Lucas Bols has been in charge of the production, distribution, sales and marketing of the brands Bols, Galliano, Vaccari, Pisang Ambon, Bokma, Hartevelt, Coebergh and a large group of Dutch genevers and liqueurs. Being innovative and having good relations with professional bartenders throughout the world are therefore fundamental to the success of Lucas Bols, which works from its head office in Amsterdam with a dedicated team of 32 people. In 2007 the company produced more than three million cases, with a turnover of more than € 95 million, distributed over 110 countries, with about 70% of the turnover from abroad and 30% from the Benelux countries. 70% of this turnover is attributed to liqueurs, with a current range of 36 flavours by Bols. The distributor Maxxium and the producer Avandis are important strategic partners for Bols. The core of the company is the Bols brand. Even before the buy-out, part of the present management launched a rejuvenation strategy for this brand with a strong focus on bartenders and the hotel and catering industry. In 2004 the leading Drinks International trade magazine awarded Bols with the title of ‘Best Brand Re-Launch’. The Lucas Bols team now has every opportunity to develop and realize this strategy. The Master Distiller has an important role to play in this, drawing from Bols’ rich past in order to guarantee the present quality and to develop flavours and products for the future. The opening of House of Bols Cocktail & Genever Experience and the Bols Bartending Academy in the Spring of 2007 are also reasons to become reacquainted with the unique and centuries old Dutch brand Bols.